The Beaver CNC HDZ Lives! I was never able to open it, just tried again. Set up a new project. Could not import the file. File downloaded from your site has no file type associated. It shows up as an empty box in Fusion uploads. Next question, how did you save it? To your local machine or? Luke, how much taller is HDZ compared with the stock assembly? I thought I saw the info somewhere , but can’t find it and I need to upgrade my enclosure. 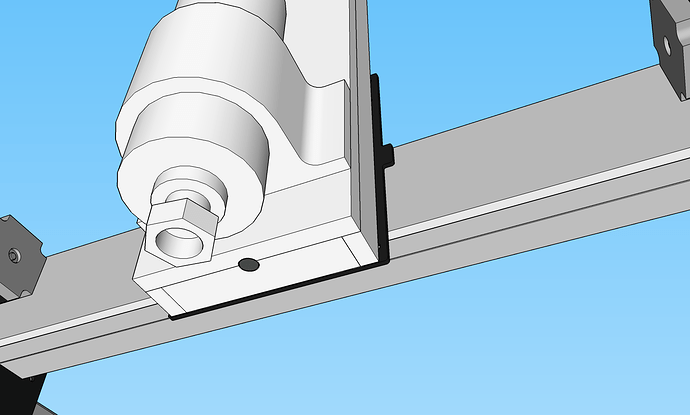 You need approx 270mm clearance from the top of your X rail. better shielding of the sensitive parts of the Z axis from the mess produced by cnc routing. 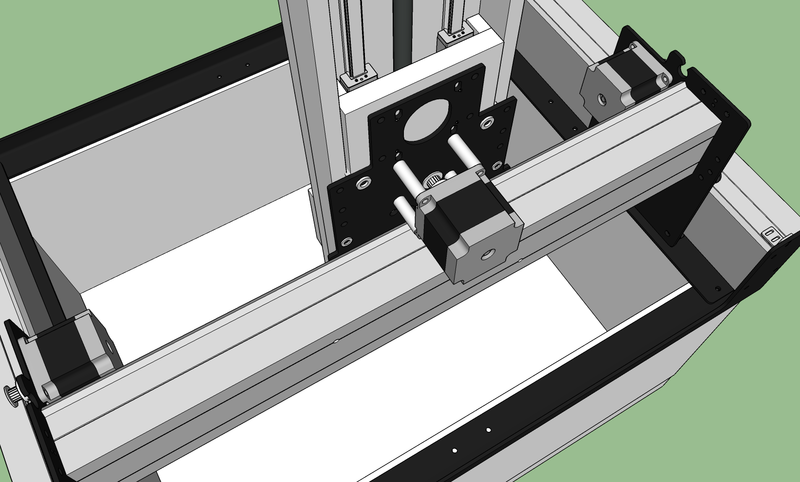 You could even put bellows on to cover the gaps above and below the X axis extrusion. good stiffness at short cutting heights - where the work is close to the x axis. worse stiffness when cutter is far from the x axis through torquing the x axis extrusion. Could it be lessened by an angle iron screwed to the x axis extrusion or a second box extrusion? motor has to lift itself and the weight of the ballscrew linear actuator and the spindle and do several kilos of cutting… I see many ballscrew kits with 50kg lifting capability for a z load. I think all of this is maybe 15kg estimate?? So seems do-able? not really a problem, but the z direction would be reversed. clockwise rotation would bring the spindle up… That’s a simple grbl fix I think? Also the z limit switch would need to point down to stop the spindle side frame as it comes up. What do you think? Are the physics of a ballscrew linear actuator holding a spindle pretty similar whichever way round you have it? The rub comes if you do a long extension like I drew… But that’s down to the torquing that happens due to the cutter load hanging off an increasingly long lever… Stiffen the X axis extrusion or take increasingly light cuts as you move down could solve this? wheels for the upgrade, and also has heavier eccentric nuts that put the stock nuts to shame. Switching directions for Z travel is just a simple machine code edit. Along with TPI adjustment. 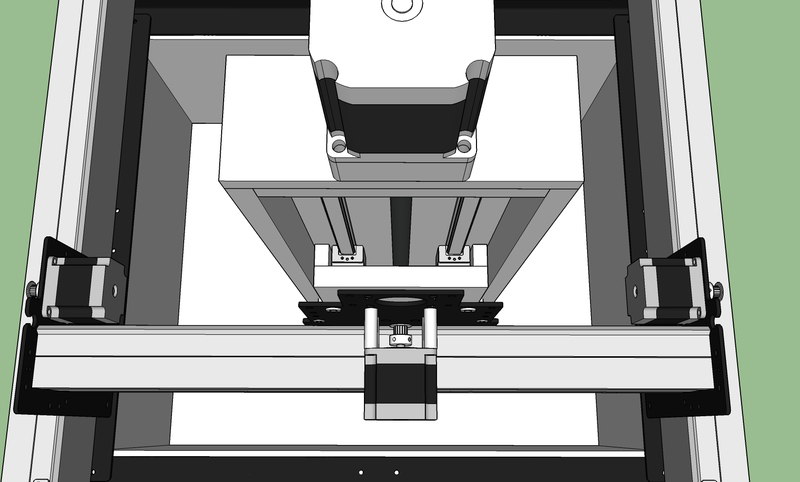 The Z-axis will not drop on shutdown, nor slip like the origional. Do yourself a favor and just buy one now and save you all the trouble a 2.2kw spindle on a stock z-axis will give you. Wow, strong endorsement, probably well deserved. Being a relative newbie and not running a business, I have not hit the limits of the stock setup yet, since I’m not milling metal, I cannot cost justify the upgrade at this point, I will wait a bit longer! I may however consider the precision Z plate for my current setup. Not to undermine Luke but I wonder if Carbide is considering some of these to build a Shapeoko 4. It would be interesting to start a thread on what should be in the design of a Shapeoko 4. 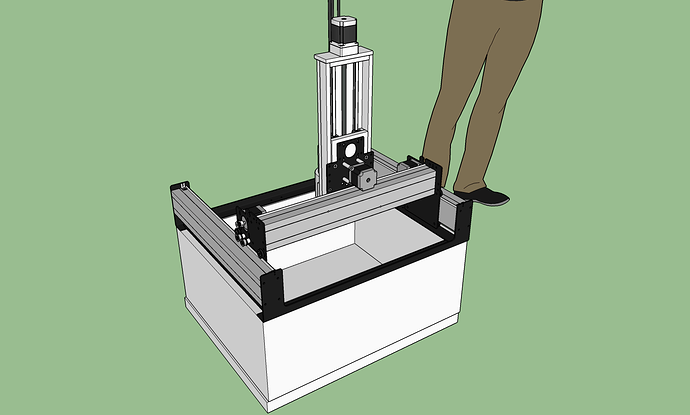 That would be nice to start planning out the next reiteration of ShapeOko. 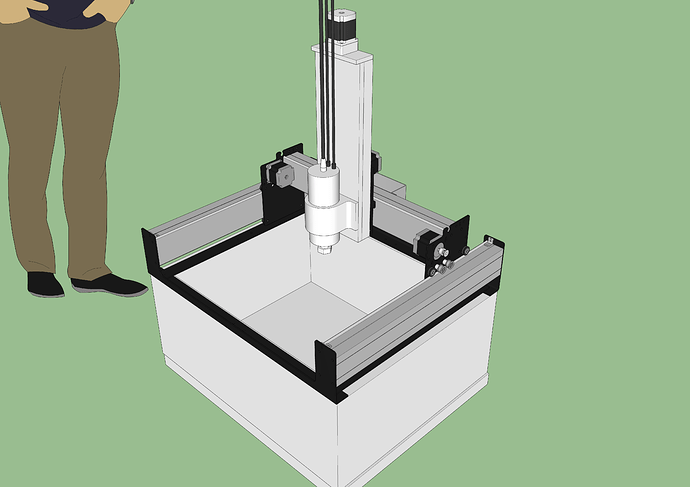 The issue is though the ShapeOko is and was always designed to be an affordable entry machine. And they have done wonders, they have gone beyond entry level as a whole for an entry level price. But as you try to get more accuracy and regidity the price goes up exponentially. 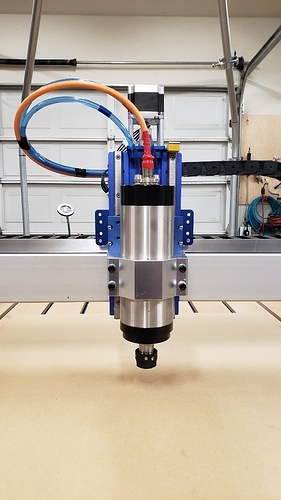 Most people agree the z-axis is ShapeOko Achilles heel and thats where people like Luke come it with aftermarket modes to make a good product better. 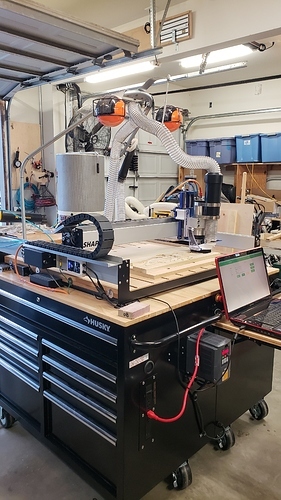 I doubt ShapeOko would incorporate something like the HDZ because of cost, but who knows maybe an upgrade to the people who really want it. I am very happy with his design myself and am working on the belts next (steel reinforced) to make it more solid. Then on from there. The beauty of ShapeOko is you can make anything you want out of it.